The Apollo Group has announced the recent launch of The Eric Barale Culinary Center. "The Apollo Group continues its commitment to top tier service with the completion of a state-of-the-art culinary center, named after their Senior Culinary Director and Executive Chef, Eric Barale," the company said, in a statement. 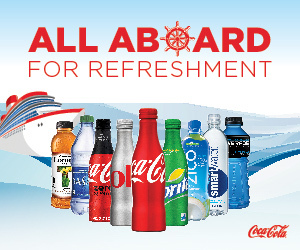 Apollo provides hotel and food and beverage services, as well as crewing, for a number of cruise brands. The 4,484 square foot culinary center is fully equipped with the latest tools and technology used in the cruise industry for food and beverage research and development. The facility’s layout allows for the capability to carry out multi-activities, and simultaneously focus on training and development. With the conscious effort of continually improving services and skills within the company, The Eric Barale Culinary Center will host a wide array of demonstrations ranging from concept development of tabletop selections and design, to public health training and mixology. “Eric has been a key part of our culinary development for over a decade, and his contributions and expertise should be recognized,” added Jose Ramon Barrera, President and CEO. Barale has been a part of The Apollo Group’s first-class culinary experience since 2003, when he joined Oceania Cruises and helped launch multiple ships that year. Now a member of the Master Chef’s Association of France, the the chef has come a long way since beginning his studies at the age of 16 at The Hotel School of Toulouse France.